This blog is a critical appraisal of a randomised controlled trial evaluating the effects of circuit training as an alternative to usual physiotherapy after stroke. Stroke is a common, disabling condition. There are more than 1.2 million stroke survivors in the UK, and half of these individuals are left with some form of disability which impacts on their lives. In the UK, more than a third of survivors are unable to be independent, which can be incredibly de-motivating (Stroke Statistics 2016). Stokes can have many physical effects such as impairments to gait, speech, balance, co-ordination and vision, as well as an emotional impact (Lawrence et al 2001). 77% of stroke survivors suffer upper limb weakness and 72% have lower limb weakness (Stroke Statistics 2016). During placements I have assisted with stroke rehabilitation and recently my grandma suffered a stroke, so I was interested to look at different treatments. 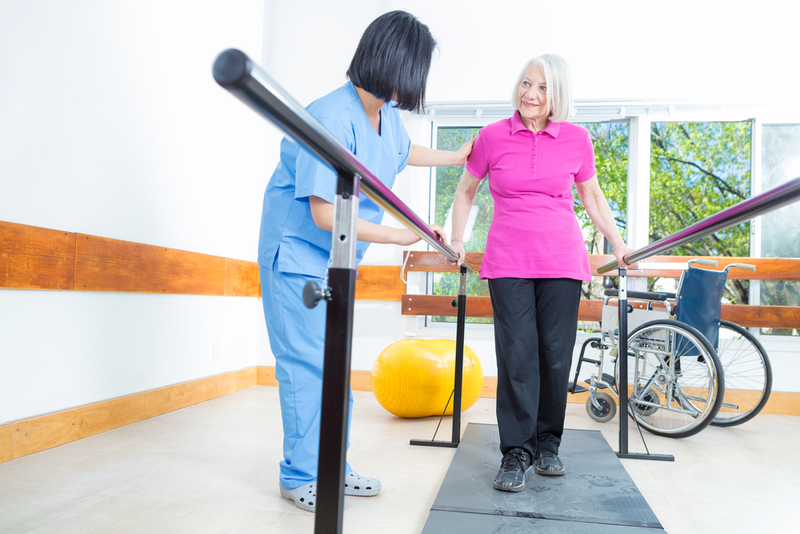 The study was undertaken to compare task orientated circuit training (CT) with usual physiotherapy (PT) for improving gait in stroke patients after discharge from hospital. 250 participants from 9 rehabilitation centres in the Netherlands participated. There were 126 participants in the task orientated CT group and 124 in the control group. Patients in the intervention group received 90 minute task orientated CT on 8 different work stations, twice weekly over 12 weeks (24 sessions). The control group received usual tailored one to one physiotherapy. The study concluded that there was little difference between the intervention and control groups after the final follow up. This suggests that stroke patients who have been discharged from inpatient physiotherapy could participate in task orientated CT without major safety concerns. The CASP randomised control trial (RCT) instrument was used to thoroughly evaluate this study in terms of patient groups, methods, outcome measures, results and discussion. The study has a clearly focused: 1) question: is CT a safe alternative to usual PT post stroke? 2) population: patients discharged from hospital after stroke who could walk at least 10m; 3) intervention: task specific CT with 8 stations; 4) comparator specified: one to one PT and 5) Outcomes: the primary and secondary outcomes were carefully considered. The trial was a multicenter single blinded RCT. This is acceptable as it is not possible to blind the clinicians or patients regarding the intervention they received. Assessors were blinded, which reduces the risk of bias and they evaluated the same patients at baseline and at weeks 12 and 24, which also improves reliability and validity. Randomisation was done using an “online” approach which also minimised the risk of prejudice and increased the validity of the trial. Initial assessment measures revealed the intervention group had better results in some of the secondary outcomes, but the study accounted for this by adjusting variables at baseline. The study eligibility criteria focused on mild to moderate disability which reduces the generalizability of the study given that only 25% of all stroke patients would fall into this category. However, generalizability was enhanced using a large number of participants (125 intervention and 117 control group results), gathered from 9 different hospitals. Throughout the treatment process, the groups were treated equally (apart from the intervention they received). Participants were all accounted for and drop outs were recorded. The intention to treat principle was applied when comparing the groups. Written informed consent was provided by participants and serious incidents were delineated to the medical ethics committee. The work stations were chosen under certain criteria, so by changing the specific exercises that participants undertook at each station, future results could differ. The primary outcome of the study was the mobility domain of the stroke impact scale (SIS version 3.0), which is clearly stated at the beginning of the study and results for this outcome are intelligibly recorded. For this outcome, the p value was > 0.05, meaning the result is not statistically significant. According to Mulder and Nijland (2016), the SIS has the capacity to recognise change, however it may still lack responsiveness. So it is possible that the instrument failed to detect a significant difference. The secondary outcomes are also stated in the outcomes section, and the effects are clearly documented with no evidence of selective reporting. For some of the secondary outcomes, such as gait speed and distance and stair climbing, there is a slight (non-significant) variance between groups. This is consistent with a meta- analysis conducted by English and Hillier (2010), where results fell short of being statistically significant. Results for each component of the outcomes are clearly recorded with the p value (to be significant had to be <0.05) and standard deviation (distribution around mean values) both provided. The outcomes used are clinically important for stroke patients. 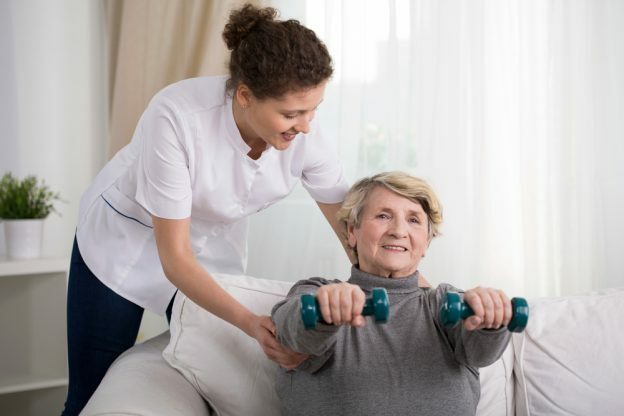 The study concluded that for patients with mild to moderate disability post stroke, 6 months of circuit training was a safe and effective alternative treatment compared with usual physiotherapy. However more research is necessary to identify a cost benefit, and to assess whether task orientated CT is also safe for patients with lesser or greater disability.